Video is widely used in life sciences, such as to record movement or changes in colour, shape and size, because it offers greater depth and interactive insight, especially when it is synchronized with quantitative data recordings. Visual communication is an extremely effective and accurate method of sharing information because it provides greater qualitative detail and a deeper understanding, when compared to standard descriptive text. Therefore, video technology was soon incorporated by scientists to record and describe their work because it offers many practical advantages. Currently, video recordings are widely used in life sciences such as in psychophysiology, exercise physiology and cardiovascular physiology, especially when related to recording movement or changes in colour, shape and size. Synching video recordings with quantitative data recordings also provide further interactive insight. Therefore, for validation and reproducibility, the usual factors that are considered when recording videos include colour, position, duration, resolution, speed and synchronization. 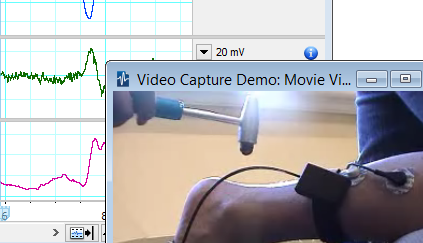 LabChart supports a single stream of video recording. However, it still possible to record from multiple cameras with the additional use of external hardware and software. They need to be able to convert the multiple videos streams into a single virtual video stream that is recognised and recordable by Video Capture Module. 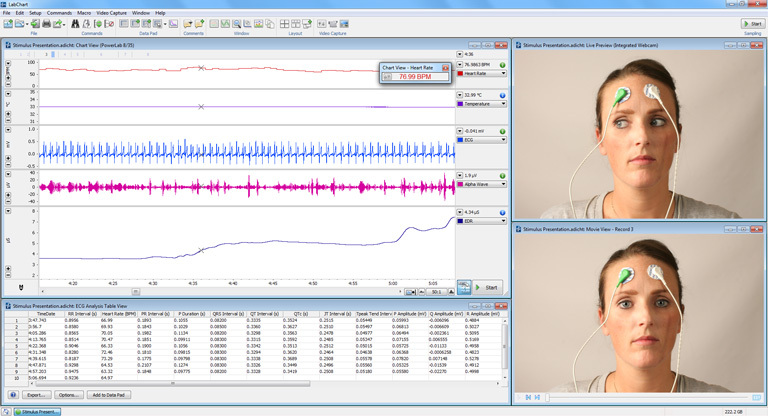 The Video Capture Module for LabChart is used for simultaneous recording and synchronization of a digital video and a LabChart data file. Thank you for your interest in Video. Please complete and submit the form below and an ADInstruments representative will aim to get in touch within one working day. If you’d like to speak to someone immediately, office contact information is available from the contact page.